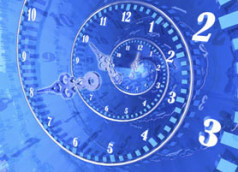 At Intuitive Being, we deal a lot with the subject of time. How emotions and beliefs manifest over periods of time, and how that in turn creeps into our physical and energetic bodies as imbalances, diseases and pain. In some cases, how experiences over the course of large expanses of time – we’ve gone back.